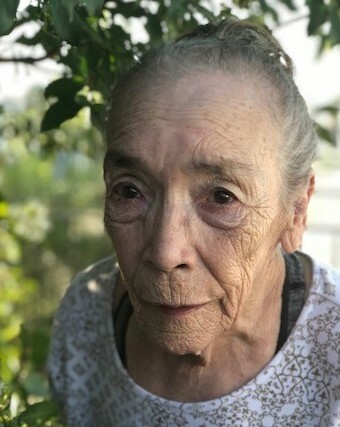 Rosalia “Rosa” Gardea, 78, of Amarillo died July 27, 2018. Rosary will be said at 6:00 p.m., Tuesday, July 31, 2018 at Schooler Funeral Home Brentwood Chapel, 4100 S. Georgia St. Mass will be celebrated at 2:00 p.m., Wednesday, August 1, 2018 at St. Laurence Catholic Church, 2300 S. Spring St. Burial will follow in Llano Cemetery. Arrangements are by Schooler Funeral Home. Rosa was born February 7, 1940 in Mexico to Jose Gardea and Tiburcia Fierro. She worked as a housekeeper and cook for many years. Rosa loved to travel to Mexico and maintain her garden at home. She enjoyed her birds, and was a wonderful seamstress. She always taught her children by example and showing them not to complain about work. She worked hard at everything she did and always managed to put others before herself. She never used a recipe or measuring cups, she did it all by memory. Rosa was a great cook, beautiful, huggable, honorable, simple, selfless, loving, caring and creative, and had one of a kind sense of humor. She is preceded in death by her mother and father; 3 brothers; and 4 sisters. Rosa is survived by sons, Martin Gardea and wife, Ofelia and Manuel Adrian Gardea; daughters, Gloria Gardea Mares and husband, Pedro, and Delia Gardea Carpenter and husband, Matthew; one sister, Ana Gardea; 9 grandchildren, Martin Gardea, Jr., Omar Gardea, Andrew Hernandez, Mayra Gardea, Mariela Guadian, Alyssa Hernandez, Ivan Gardea, Sophia Carpenter, and Samuel Carpenter; 7 great-grandchildren, Fernando Corpus, Jenica Sanchez, Gabby Gardea, Abigial Gardea, Benjamin Gardea, and one on the way, Mia Guadian; and many nieces, nephews, family and dear friends. In lieu of flowers, the family suggest memorials be made to Jan Werner Adult Daycare, 3108 S. Filmore St, Amarillo, Texas 79110.